Did you know 1 in 8 women in Canada will be diagnosed with breast cancer? Cancer isn't something that happens to 'someone else', it can happen to you. While October is Breast Cancer Awareness month, it's important to know the facts and raise awareness, all year round. 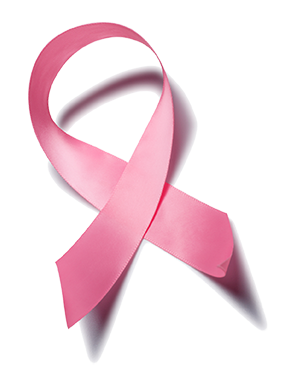 Breast Cancer is a malignant tumour that starts in the breast. This tumour can spread to surrounding tissues and other parts of the body. Women with known risk factors have an increased chance of developing breast cancer in their lifetime. Breast cancer usually occurs in women ages 50-69, however, women can be diagnosed at any age with the youngest known case in Canada being a 4 year old girl from Cambridge. Any full-term pregnancy before the age of 30 lowers your risk and when you breastfeed your baby, this protects the breast against cancer and can lower your risk. How can I help ensure an early diagnosis? Early diagnosis is key to survival. When cancer is detected early, chances of survival is very good. In fact, women diagnosed with Stage 1 breast cancer, the earliest stage of cancer, have 5-year survival rate of 99%. Cancer screening is the most important proactive step women can do. If you are under the age of 40, doing a self-examination once a month is the best way to detect changes and find lumps that could be missed by a doctor or a scan. Report any and all changes to your family doctor immediately. Women over the age of 40 should also receive a mammogram each year. To learn more about screening visit the National Breast Cancer Foundation website, or visit the Canadian Breast Cancer Foundation website for more information. Oral contraceptives decrease your chances of ovarian cancer; however, they increase your risk of developing breast cancer. Your father's family cancer history is just as important as your mother's. Men can get breast cancer too, so encourage your loved one to self-check. If there is a history of breast cancer in your family, inform your family doctor and get referred to the Alberta Health Services Screen Test service. Radiation treatments increase your risk of future cancer. Even after a mastectomy, you still need to preform self-examinations as this procedure only reduces your risk of recurrences. Ayre & Oxford encourages every woman to pay attention to their bodies and report any changes they notice. If you want to help fight breast cancer, please donate to the cause.